I’ve known Sharon Archer since she first sold to M&B Medicals, and met her on an author loop – feels like for ever, because she’s another person I just clicked with. We have lots in common (just recently, she emailed me while she was travelling around Aus to ask about guitar music, because she’d decided to learn – great stuff!). 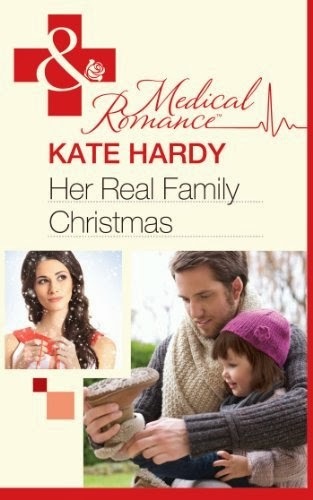 And her books are just lovely. And she takes excellent photographs (including spider webs, which we both think are absolutely beautiful, but we thought we’d better not scare arachnophobic readers with that one!). Kate, first let me say HUGE CONGRATULATIONS on your milestone! FIFTY books is an awesome accomplishment and an inspiration! And secondly, thank you for having me here to help with your celebrations! 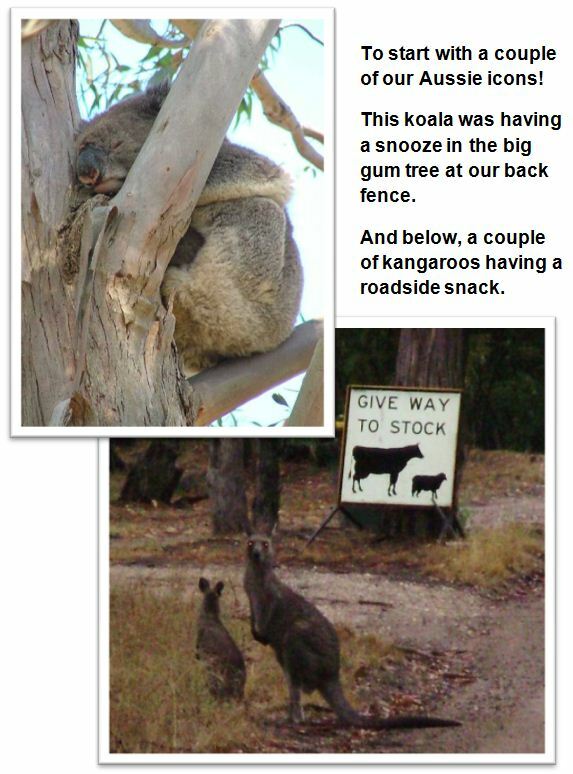 I thought I’d invite you all to our place DownUnder for a cyber-day and introduce you to some of our native visitors. Our little patch is in rural Victoria, Australia, where we have five acres. The properties around us are much larger and we’re tucked down a no-through gravel road so it’s lovely and quiet. The farmer over the back pops his cows in to our paddocks occasionally to eat the grass but there’s plenty to go around and lots of wildlife makes itself right at home. So tell me about the feathered or furred or scaled visitors you get at your place! 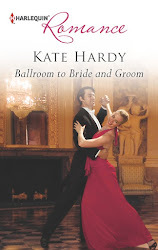 And to finish off because I’m so tickled to be here for Kate’s blog party, I have a copy of one of my books to give away to one commenter, Marriage Reunited: Baby on the Way, or you can choose another title from my backlist. Sharon - it's nice to see those familiar Aussie icons - I grew up with most of them somewhere on the property. I now live in midtown Manhattan - but there is a little square of garden behind our apartment block - and the birds sit in the trees just outside my window and sing. It's a long way from the outback, but it's nice to have them amid the concrete and glass towers. I live in QLD. At the moment we have possums coming up from the creek at night. I am positive that they hold dance tryouts on the roof. The kookaburras have been announcing rain all this week. Apparently if you hear them laugh in the afternoon, rain is imminent. It seems to be so. Wow, Janet you've made a huge location change from where you grew up to the Big Apple! I wonder, did you find it a little overwhelming when you first moved? Fantastic that you have the garden square nearby and some feathered city dwellers which visit. Some birds seem to adapt quite well to city life - even some that I wouldn't have expected. I remember reading about a pair of hawks that made a nest and raised a chick on an inner Melbourne highrise. They were quite a hit with the office workers apparently! Hey, thanks, Caroline! I'm so glad you like the pics! I enjoy capturing our "visitors" with the camera lens! And it's so much easier these days with a digital camera! Oh, I hear you about the rats! I guess it's a compromise with the bird seed and attracting those unwanted visitors! But if you've got your birds in the habit of a feeding time then maybe you won't need to have the seed sitting around all the time. It sounds like you might just be able to have the best of both worlds! Janet - how lovely that you still get birds! Caroline - I hate to tell you this, but your DH might well be right - we never had them until we got the bird-feeder. I felt horribly guilty about calling in the council's pest department, because our rat was quite pretty and looked clean, but... don't want my dog being bitten. Marybelle - what a lovely story abut the kookaburras! Our weather lore here tends to be more about clouds (this part of England is quite flat so we have HUGE skies and the clouds are stunning). Marybelle, our possums put their dancing shoes on and trip the light fantastic on our roof too! For something so cute and small, they make a very LARGE noise! I'd heard that about kookaburras laughing in the afternoon - and it sounds like yours are being efficient weather-predictors. I hope you don't get too wet! Actually, I was checking out temperatures in some of the places we'd been travelling and it sounds like you've been a bit warm up there! Kate! (waving) It's fab to be here! I Googled all your feathered visitors! They're beautiful! And I was interested to see that the fieldfares travel all the way from Scandinavia to strip your lovely fruit tree! Alas birds do love fruit trees! The cockatoos and rosellas make a lovely meal of our apples and nectarines. Those moles sound like a bit of a problem! Such gorgeous photos, Sharon! How lovely to have all those native visitors. We don't get so many in the suburbs but we have possums and honeyeaters and maggies and parrots and one memorable day a kite (or hawk not quite sure). Hi, Sharon! What a wonderful array of flora and fauna in your area. The minah birds around here terrorise our cats by teasing and swooping over them in the backyard. Hi Kate--I'm so enjoying your party and Hi Sharon--thank you for introducing me to Kate! Sharon, I love the photos of your furred and feathered visitors. We have the same visitors with the exception of the koalas--lucky you. They are rumoured to be here in our part of New South Wales but I have never seen them. We do, however, have wombats. We had some first-time visitors from England a few weeks ago and they were enchanted to see kookaburras and hear their chorus. The kangaroos also obliged by bounding past and even stopping to look at the visitors. Doing their bit for Aussie tourism! We get snakes and mice here. I hate mice and love that snakes kill mice. Unfortunately, my husband thinks the only good snake is a dead one. Sharon, thanks for sharing the pics, I love them. We used to live in a house where you could watch kangaroos from the window - great for overseas visitors, but no more. Now it's possums (large and small) and definitely noisy on the roof but we do enjoy them. Then there are the many, many birds including kookaburras, magpies and the many colourful ones like king parrots, lorikeets and eastern rosellas. I love seeing them all. Lovely pictures. We have a lot of birds that visit. Hey, Imelda! How lovely that you get some native animals visiting in the suburbs... well, as long as those possums don't find a way into your roof space! When we lived in Melbourne, we planted lots of Australian native plants to help attract the birds. It worked a treat. Vanessa! LOL about that guitar playing gig! I think well save everyone some agony and just keep using our back verandah as our "stage"! Our finger tip calluses are coming along nicely though! Oh, those minahs are very stroppy birds, aren't they! When they're around I don't think much else gets a chance to establish a home. Our wombats are a bit like your koalas - I believe they're around but I haven't actually seen any! HI Eli, thanks for popping in! A beautiful butterfly is a fabulous visitor to have in your garden. You must have some plants that attract it! Tammy, snakes are fascinating creatures but they do inspire very strong fear reactions in some people, don't they? Maybe your dh had a bad experience when he was younger. I'm not a mouse fan either - we got "moused" when we'd been away on holiday one year. They'd set up homes in every room in the house! It wasn't pretty! Hey, thanks, Annie! You've got many of the same birds as us, plus those amazing parrots and lorikeets. I remember when I first arrived in Australia being astonished by the fabulously exotic colours of the birds! We get lots of crimson rosellas here - just like the ones on the tomato sauce bottle! Hi, bn100. I'm glad you liked the pics! It's lovely that you get lots of bird visitors - you must have a very bird-friendly garden! We've had skunks take apart our composter (numerous times); squirrels run across our roof several times a day, usually waking us up (and we enjoy watching them run across the hydro lines, up/down the poles, and jumping from tree to tree); and we see rabbits hop past or over to our place several times a year. Skunks? Laney, that sounds like it could be a bit unpleasant - or do they only smell when they're attacked? We saw squirrels while we were in England, many years ago - they're so cute but so much smaller than I was expecting. Though I bet they still make a din when they run across your roof! Hi Sharon, i loved your photo. In my house i dont have any garden, but my mom have. I love when the wild cats or birds sometimes come to the garden. Thanks, Desere! It's been huge fun to share my pics! Lovely of you to drop by! And thank you, too, Cecelia! Wonderful that she can enjoy the wild cats and birds in your mum's garden! Gosh, Cecelia... I don't know what part of my brain I was using when I replied to you! I meant it's wonderful that you can enjoy your mum's garden visitors! First name drawn from the hat for ‘Marriage Reunited: Baby on the Way’ – Desere. Please contact me kate(dot)hardy(at)btinternet(dot)com with your details, and I'll get everything sorted :o) Thanks for taking part!